Did you know that there are so many ways to use your iPad beyond the photography apps! I know it is hard to imagine that this wonderful device does more than help create artistic images! But it does! While preparing for my Asian adventure I was told that I could purchase PDF's of Lonely Planet books. So I went shopping at lonelyplanet.com and discovered that for $4 each I could purchase just the chapters of the locations I was planning to visit. After downloading the PDF chapters I chose to put them in iBooks for easy referencing. 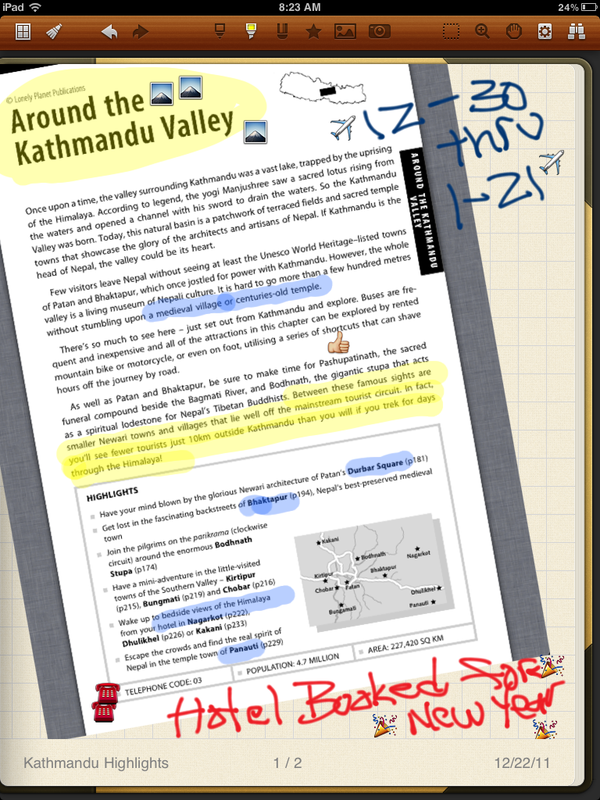 Then I thought of a great way I could use the app Noteshelf to help pre plan even more. So I made a screen capture of the page I wanted to highlight. 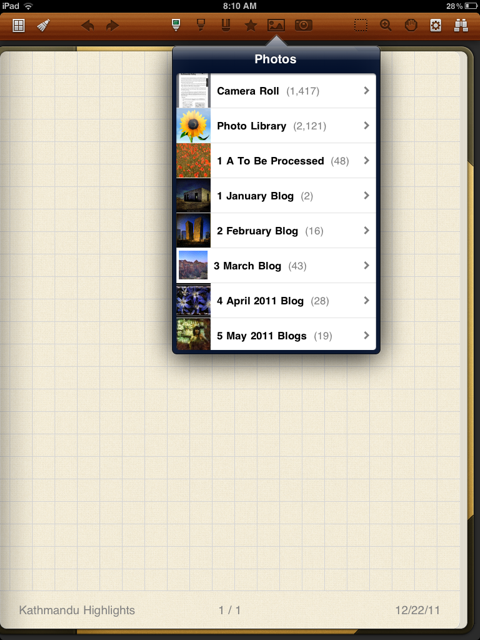 Opened Noteshelf and then imported my page. I will continue to add to my notebook as I discover more places and things I want to do and see in Kathmandu. To have even more fun, I can add my own photographs and create a journal of my adventure as I travel. Have a Happy New Year everyone! May your year be full of artistic growth and fulfillment! WOW, what a great way to document your trip. Thanks for sharing how you are doing this with the iPad. Have fun! As always, I enjoy your posts. Be that as it may, tune in up in light of the fact that the new iPad Pro has included listening ability. Clients can tune in to four implicit speakers, one in each corner. This duplicates the two speakers in the Air 2.